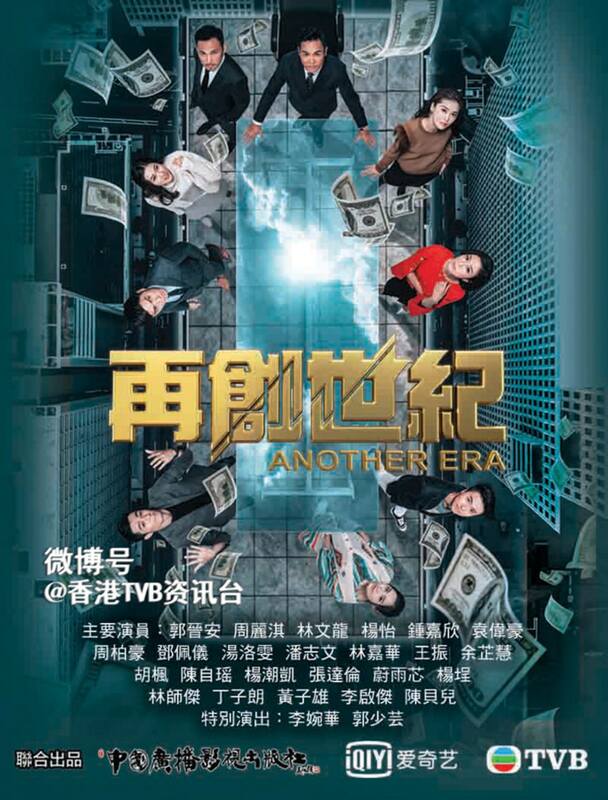 With Another Era <再創世紀> coming to television screens in less than a day, the cast of the TVB drama has made it their duty to promote the show as best as they can, including new mother Linda Chung (鍾嘉欣). Linda, who is residing in Vancouver, gave birth to her second child, a baby boy, earlier this month. Currently in her first postpartum month, Linda could not make it to Hong Kong to do the promotional tour. Instead, she filmed a video to fulfill her dues—in the video, she thanked her costars and congratulated the show for its premiere. All of Linda’s scenes were filmed in Vancouver. Because of the birth of her oldest daughter Kelly, it’s been over a year since Linda last filmed a TV drama. “I also want to thank Frankie Lam (林文龍),” she said. “12 years ago we worked together on Forensic Heroes <法證先鋒>, and now both of us are parents. I’m so happy for the opportunity to work with him again. He was very patient with me, trusted me, and gave me a lot of encouragement.” A child’s giggles were also heard behind the camera—perhaps it was Kelly! 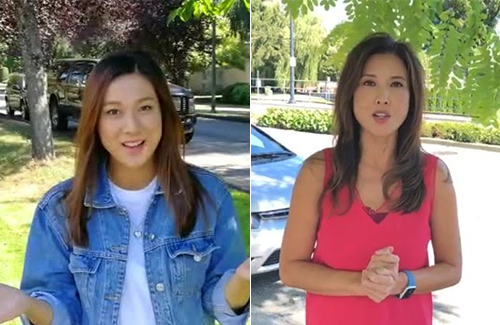 Retired TVB actress Anita Lee (李婉華), who resides in Vancouver as well, also filmed a short clip to promote the show. “Hello, viewers! I am Anita Lee. It’s been a long time! I’m very happy that I got a chance to make a guest appearance on Another Era. Thank you to the producer for giving me this opportunity. [Also thank] Linda Chung and my old friend, Frankie Lam. It’s really been over ten years since I last filmed something. We shot all our scenes in Vancouver, and I hope you will all get to know Vancouver better once the show premieres!” Anita’s last television series was the ATV drama No. 8 Bus <8號巴士站站情>, released in 2004. Another Era also stars Roger Kwok (郭晉安), Niki Chow (周勵淇), Tavia Yeung (楊怡), Benjamin Yuen (袁偉豪), and Pakho Chau (周柏豪). It premieres September 10, 2018. This show sucked. Don’t waste your time. Not to mention, Linda’s character was pointless in the drama. She was in this show possibly only because the director wanted Vancouver as a backdrop. Her acting was nothing to rave either. when was it ever rave worthy? There are some that love her crying scenes and girl-next-door roles. they weren’t bad but i definitely don’t miss them or seeing her on screen. @anon I tried watching the first episode today and fell asleep after 20 minutes….that’s a sure-fire sign right there that the series is boring. Any good scriptwriter will tell you that the opening to a TV series (or movie) is just as if not more important than the ending, as it sets the stage for the rest of the series for one and two, it’s the hook that draws viewers in…the fact that Another Era’s first episode was boring to the point that I could barely get through the first 1/2 hour — well, let’s just say there is no hope for the rest of the series in my book. i couldn’t pass episode 5 tho i love the casts. Oh well. As soon as they make all the crap sequels to all of the past classics, the quicker we can put a close to these trilogies. No more Rosy Business, No more future heart of greeds, no more at the threshold of an era. Next on TVB hit list is forensic heroes then it will be no more forensic heroes…. I’m now still at episode 17…no hurry to finish watching it. This series is definitely no match to the original/prequel, but is still watchable if you don’t put in high expectations. I watch it for Roger and Tavia, and i’m glad they both delivered power performance in the show. Meanwhile, Linda’s role in this series is indeed unnecessary. I think TVB put her in this to allow her to fulfil her contract obligations because she left the station not long after filming this series. Roger did a good job, but I also couldn’t help but think his acting and expressions were lacking and at times he couldn’t portray this character as well as he did in previous villianeous roles. Unfortunately, this is not among his best performances. In terms of his recent work, I say his acting in Last One Standing was far better and even Black Heart White Soul was better. Roger’s expressions look weird these days. I’m not sure if it is because of the aging or the Botox…. @anon oh really? I think Roger’s a good actor though, in particular in those dramas you mentioned. Yes, i agree with you that Roger was far better in Last One Standing. Nonetheless, he is still the best performing actor among the male actors in Another Era. I find that Roger has always been typecast as a villain in recent years. I’m looking forward to his another new series (Big White Duel), which could possibly be his new breakthrough role (since we have watched quite a lot of his villainous roles). this series sucked and linda’s character was pointless. Would’ve been better if she was just a memory or something. I wonder if Anita Lee is trying to make a comeback to the industry. I miss her pretty face! Amongst the older veteran TVB actresses, she’s definitely aged well.